The officer in charge of Cornwall policing is calling for Newquay's civic leaders to improve the town's image following the deaths of two teenagers. 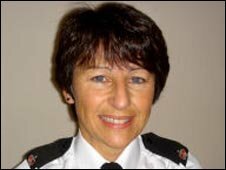 Chief Superintendent Elaine Marshall, Commander for Policing in Cornwall, claims Newquay's image has been tarnished by the tragedies. The seaside resort has become a haven for youngsters partying after exams. Ch Supt Marshall described unsupervised trips by 14-16-year-olds as a "tragedy waiting to happen". She added parents needed to take responsibility and is urging council chiefs to re-market Newquay as a safe place to visit. "Newquay has enormous potential, with its great beaches and holiday facilities, especially in the current economic climate," she said. "Unfortunately its image has been tarnished and we need to work quickly to re-market it as a safe place to visit. "Unsupervised trips by 14-16-year-olds is a tragedy waiting to happen and parents need to take that responsibility. "Every weekend of the year our officers are dealing with the impact of binge drinking on the streets of Newquay and this is not the best use of those resources. "Together we can make a difference for the residents of Newquay, whilst still maintaining the income needed from tourism." Ch Supt Marshall is planning to start a debate about Newquay and will "engage the help of the other authorities in creating an improved image for the town". 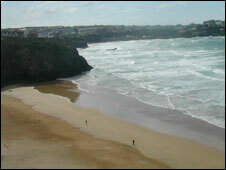 Between 28 June and 6 July three teenagers, all under the age of 19, fell from cliffs in Newquay in separate accidents. The step-mother of Paddy Higgins, one of the boys who died, claims some venues in the town sold alcohol to youngsters without asking for proof-of-age identification. However, according to Devon and Cornwall police, all shops are banned from selling alcohol to under 25s without ID. To help deal with the number of under-18-year-olds who visit the town, Devon and Cornwall police run a safety campaign with youth workers in July. Following the death of Paddy, his father, John, has set up an online petition demanding tighter controls in the resort.